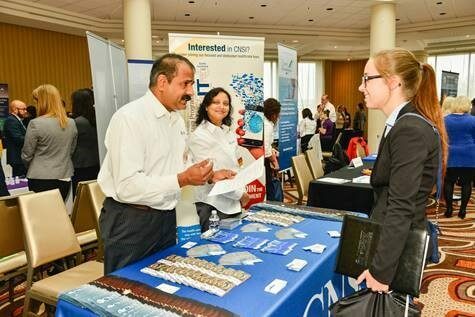 Last week, CNSI exhibited at the Women in Technology (WIT) Fall Job Fair, where DC-area companies had the chance to connect, attract and recruit the growing segment of women in the technology sector. This three-hour event proved to be an excellent opportunity to showcase the diverse opportunities available to them at CNSI. What was even better was the chance to solidify our partnership with WIT—a grassroots organization dedicated to advancing women in technology. With nearly 1,000 members in the DC-metro area, WIT uses networking and educational programs, special interest groups, mentor programs and job fairs to support women from the classroom to the boardroom. Their Girls in Technology (GIT), STEM for Her and Young Professionals (YP) programs encourages young women to get started in tech early. In addition, the Leadership Foundry and Mentor/Protégé programs provide crucial networking opportunities to help women grow their careers. This short video captures the essence, vision and focus of this volunteer-based organization. Speaking of growth, health information technology is still at the top of the list in terms of “hot careers”. In a report published by U.S. News, computer systems analyst, software developer and web developer ranked in the top 20 best jobs. And the industry is taking note about the important role women play. From the weekly “Health IT Chicks” tweet chat led by industry thought leaders to the Healthcare Information and Management Systems Society’s (HIMSS) Annual Most Influential Women in Health IT Awards, more and more organizations are empowering women to lead and succeed in what was traditionally a male-dominated field. We are proud to be a part of an organization that is focused on empowering a generation of females enter the workforce and choose health care technology. See you in the springtime at the next WIT recruiting event!